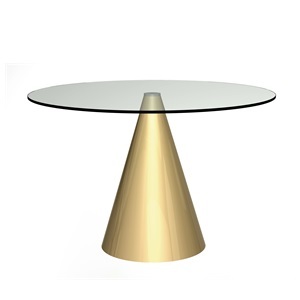 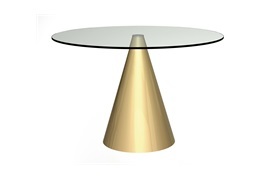 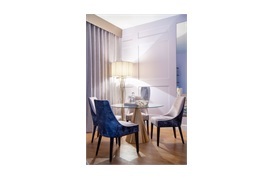 A round dining table made of two geometrical shapes with a dramatic effect and an artistic flair. 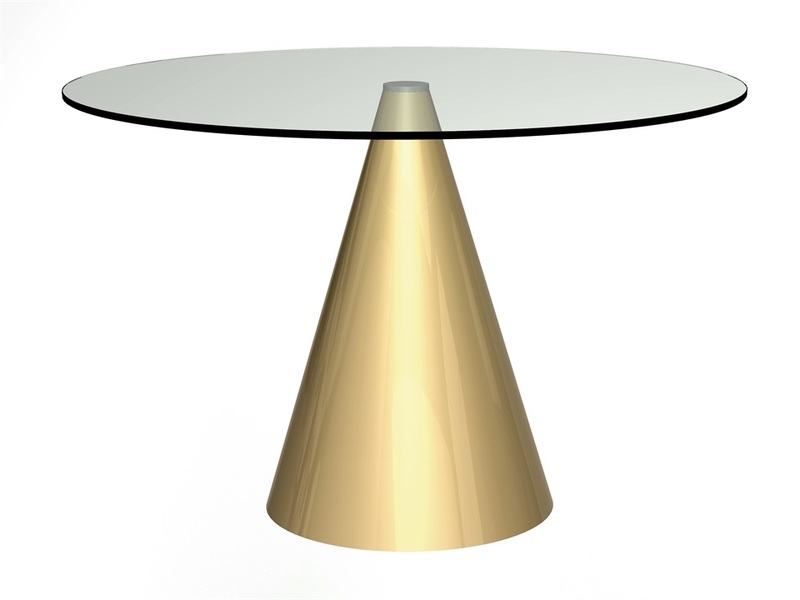 A well thought design allows the top to masterfully and sturdily balance on a cone base. 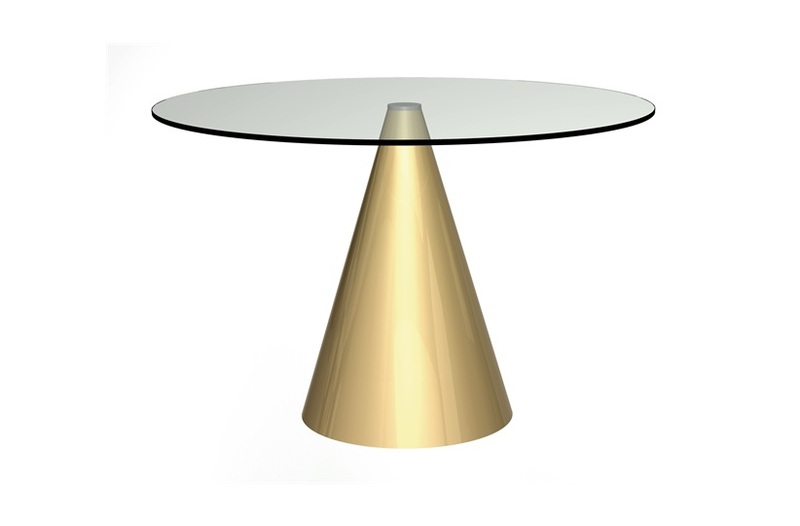 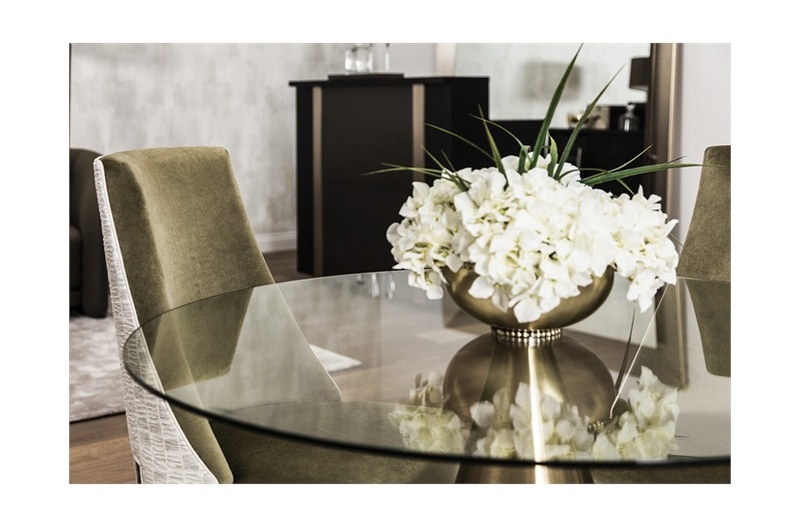 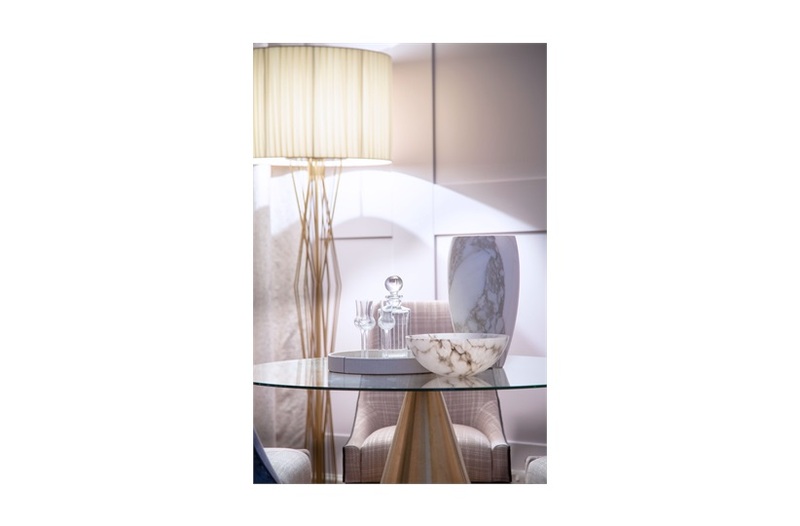 The glass see-through top discreetly allows the brass base to become the shimmering, luxurious and artistic focal point. 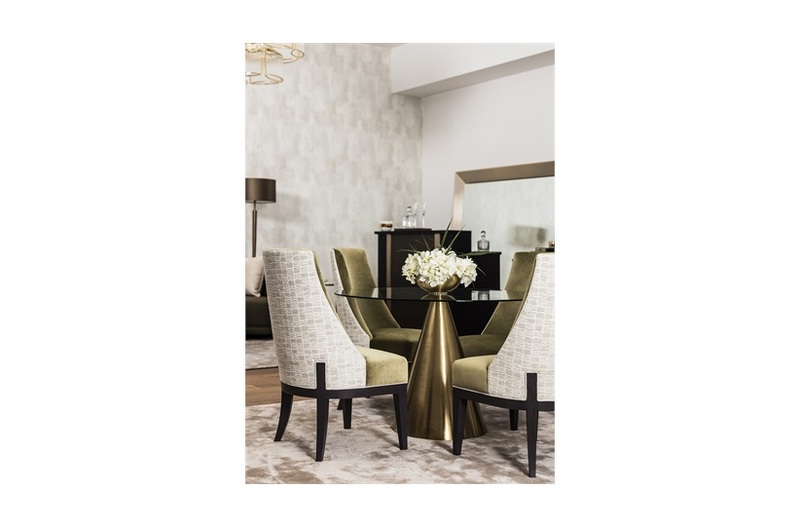 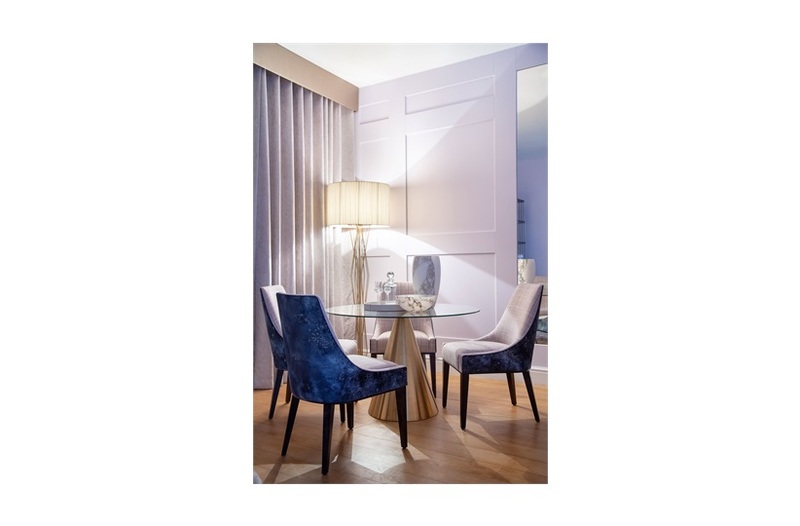 Striking contrast of materials and collaboration of shapes, make this dining table a must have centrepiece for a modern dining interior.